Drunk driving causes more deaths and injuries than any other violent crime. So the State of Maine Bureau of Highway Safety is enforcing some very harsh laws to punish those drivers who choose to operate a vehicle under the influence of alcohol (OUI). If you’re caught driving with a blood alcohol content (BAC) of .08% or more, you are guilty of a criminal offense called Operating Under the Influence (OUI). Your license will be immediately suspended, and you will now have a criminal record. 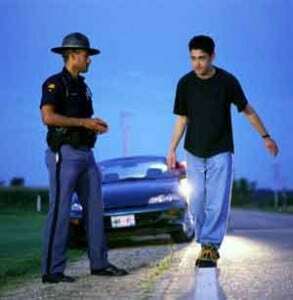 If it’s your first offense, your license will be suspended for 150 days and you will be fined $500. If there are aggravating factors such as a BAC over .15%, driving over 30 miles per hour, attempting to elude an officer, you’ll be jailed for two days in addition to the suspension and fine. If you’re traveling with a passenger under 21 years of age, your license will be automatically suspended for 275 days. If you decide to refuse to be tested, you will receive an additional 275 day suspension to run consecutively with the original suspension. If you are the accident victim of a driver who was operating a vehicle under the influence of alcohol, call the Maine DUI accident lawyers at Hardy, Wolf & Downing. You have a right to justice and compensation for your suffering and losses. In Maine, operating a motor vehicle is considered a privilege administered by the State, not a right, and can be withdrawn if the State feels the privilege has been abused, as in OUI or DUI. Under the principle of Implied Consent, every driver automatically agrees to a blood, breath, or urine test anytime the State has probable cause to administer it. If you refuse to be tested, your license can be suspended on the spot for as long as six years. Because we’re so familiar with the devastating toll that drunk driving accidents have on victims and their families, the DUI car accident attorneys at Hardy, Wolf & Downing applaud the efforts of the State of Maine to bring drunk drivers to justice. Maine law provides justice for those who have suffered injuries in automobile accidents caused by a driver operating under the influence. The penalties are severe for the driver, and the compensation to the victim and his or her families can be significant. Hardy, Wolf & Downing accident attorneys have over two decades of experience and a vast network of experts on hand to help you secure the maximum compensation for your injuries. Call 1-800-INJURED for a free consultation about filing a car accident lawsuit in Maine.